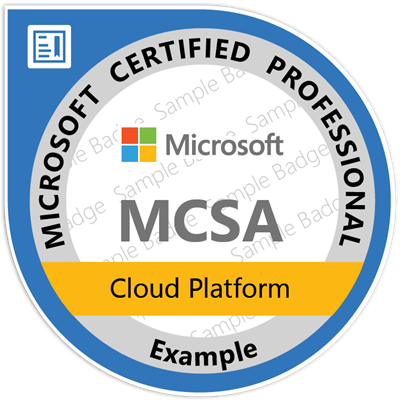 The 70-473 Designing and Implementing Cloud Data Platform Solutions exam is one of the two Azure exams required to get your Microsoft Certified Solutions Associate (MCSA) Cloud Platform . This 70-473 study guide was created to help you find materials to study, and ace the exam. I will share both free and paid options, whether books, video training or simply links to articles and blog posts. I will not share any dumps as those are against the Microsoft Terms of Service, and by using dumps, we decrease the value of our certifications. Learn the basics of Microsoft Azure and see how SQL Server on Azure VMs (Infrastructure-as-a-Service) and Azure SQL Databases (Platform-as-a-Service) work. This concise book shows you how to deploy, operate, and maintain your data using any one or a combination of these offerings along with your on-premise environment. 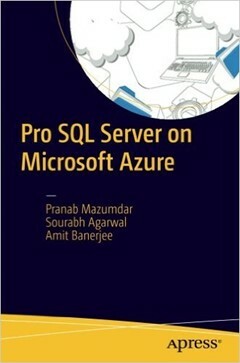 Azure SQL Database is Microsoft’s Database as a Service offering. This course will help you take advantage of your existing SQL Server skills and learn about managing, high availability, and performance of this cloud first solution. Azure SQL Data Warehouse is Microsoft Azure’s Database as a Service offering. This course teaches the differences between this service and SQL Server, designing your database for the service, loading and migrating data, scaling and basic monitoring. SQL Azure is Microsoft’s RDBMS for the cloud. This course shows how to use SQL Azure for applications that live in your department, in your datacenter, and in the cloud. This Certification Exam Prep session is designed for people experienced with Cloud Data Platforms who are interested in taking the 70-473 exam. Attendees of this session can expect to review the topics covered in this exam in a fast-paced format, as well as receive some valuable test taking techniques. Attendees leave with an understanding of how Microsoft certification works, what are the key topics covered in the exams, and an exhaustive look at resources for finalizing getting ready for the exam. The session is led by a Microsoft Certified Trainer (MCT), experienced in delivering sessions on these topics.